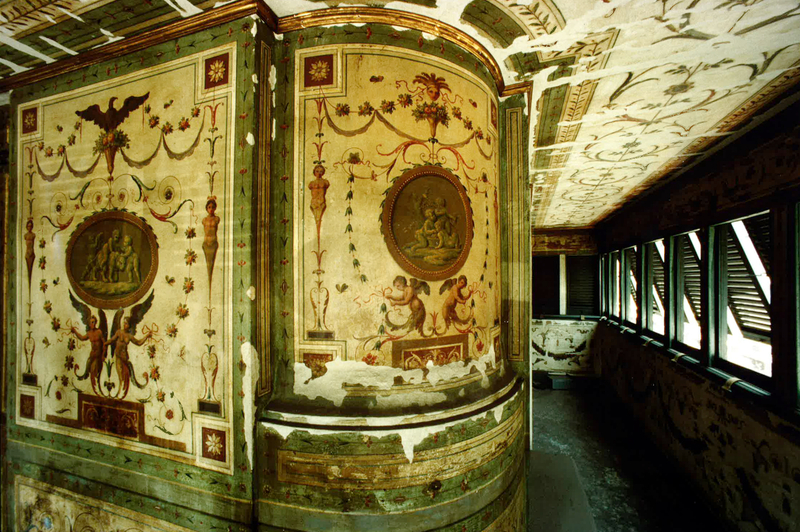 A large envelope containing photographs of mosaics and frescoes and inscribed “Villa Medici Palazzo Bonaparte”, and a small publication (L’INA per il Patrimonio architettonico Italiano, 1987), just two pieces of the great jigsaw puzzle of the Historical Real Estate Fonds of the INA Assitalia Historical Archive – a treasury of drawings, floor plans and elevations on paper and transparencies, photographs, projects, tenders, test and inspection reports, contracts, licences, sales and rental agreements, and restoration and maintenance documents. The photos are from Palazzo Bonaparte, situated at Piazza Venezia 5 in Rome, and record an exhibition held in 1987 at Villa Medici, home of the French Academy. 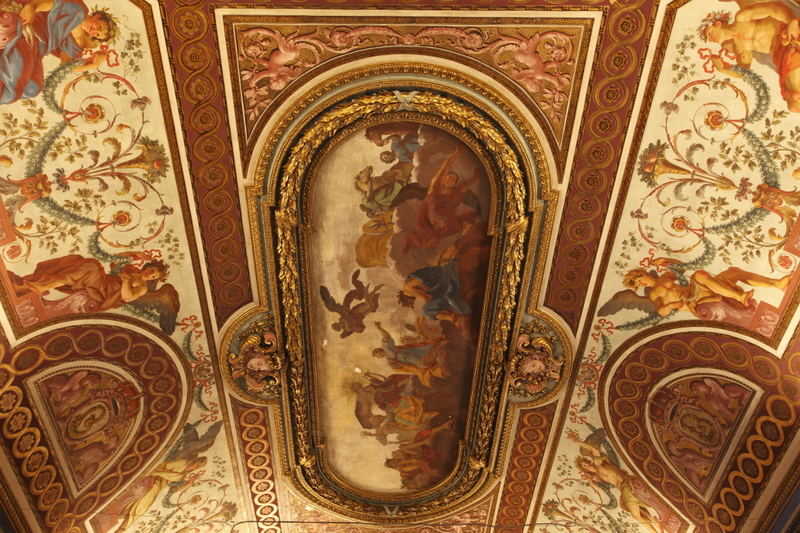 The exhibition covered all historically and artistically important buildings in Italy that INA owned and whose restoration and conservation it had carried out. Palazzo Bonaparte was designed by architect Giovanni Antonio De Rossi in the 17th century for the Marquesses of Aste, and on 25 November 1922 was declared to be of significant historical interest for its interior and exterior designs. Assitalia bought the building in 1972 and undertook restoration in 1976. Set in the heart of Rome, it is famous for having sheltered Maria Letizia Ramolino, Napoleon Bonaparte’s mother, for about twenty years (1818-1836) after the fall of the Napoleonic Empire. 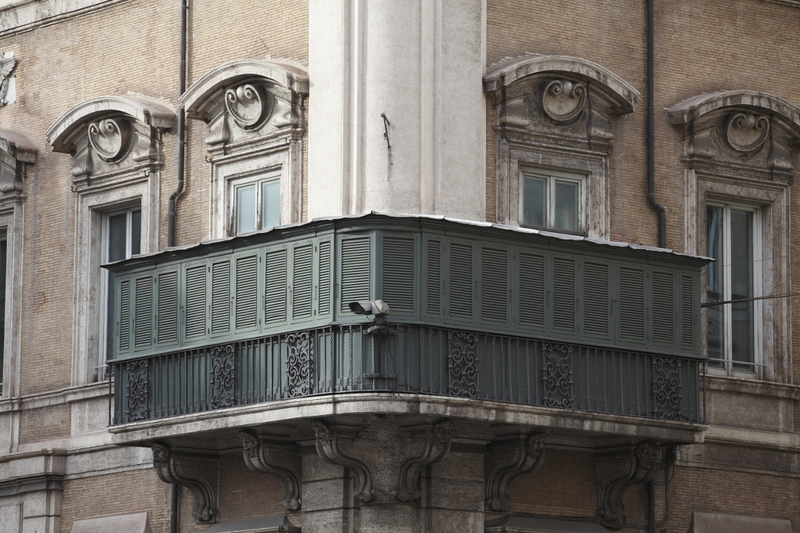 Looking at the photograph of the building’s only balcony, small and covered, and constructed in neo-classical Pompeian style, it is easy to picture the old lady sitting there behind the thick green blinds, peering out at the square and Via del Corso. She sat there habitually, and after losing her sight was often accompanied by a female companion who would relate the events taking place in Piazza Venezia, then known as Piazza San Marco. 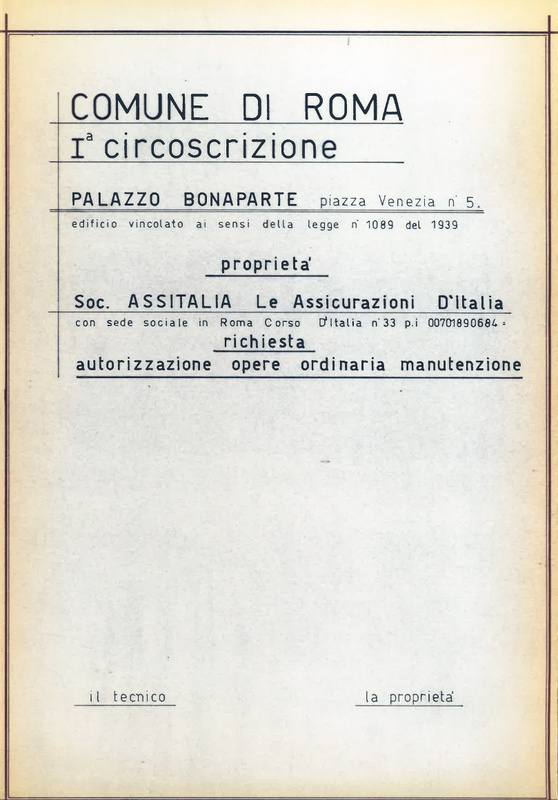 The documentation also includes the volume Palazzo Bonaparte a Roma (Editalia, 1981), by Assitalia President Giovanni Pieraccini, in collaboration with experts in Napoleonic history, urban planning and architectural history. Lavishly illustrated, it reconstructs events in the lives of members of the Bonaparte family. Palazzo Bonaparte is currently owned by the Generali Group.